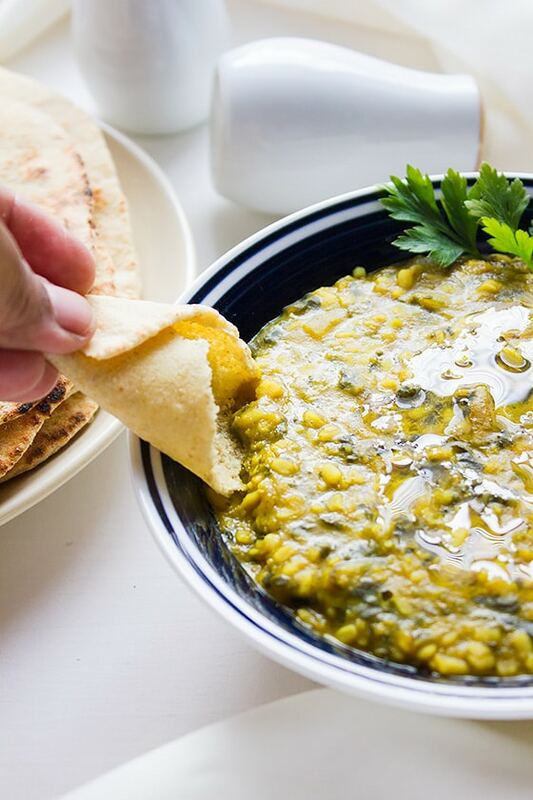 If you liked my previous two posts, Creamy Spinach Lentils and Fiery Falafel then you would love to have both dishes with some Whole Wheat Pita Bread. 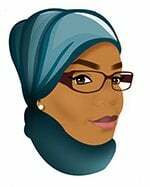 Mixing the flour with water by hand and then kneading it, this process is not only therapeutic and relaxing to me, but it also makes me proud of creating a delicious homemade bread from scratch to my family to enjoy. Making Whole Wheat Pita Bread. 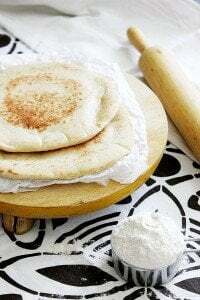 I have published different versions of pita bread already on my blog (I’m going to mention the links below) But today I’m bringing you a whole wheat pita bread and is not like the store bought ones. 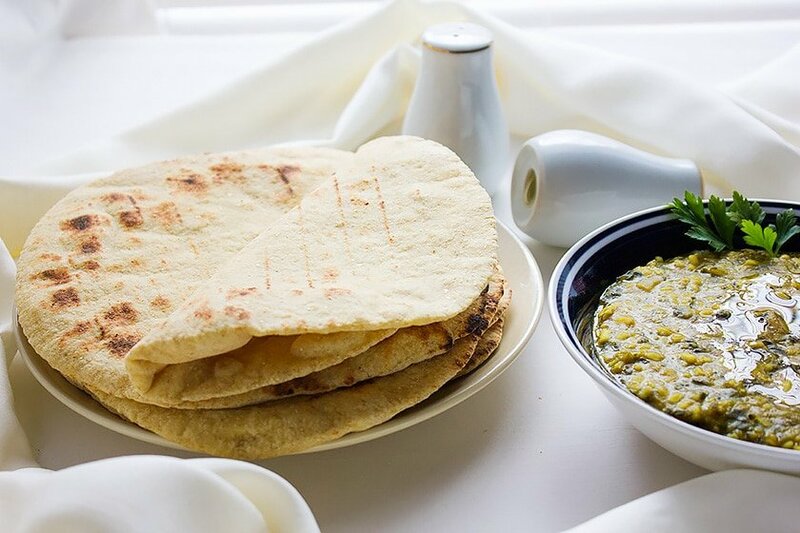 This pita bread doesn’t have a sour taste and you can open it (like a pocket.) and fill it with what your heart desire. 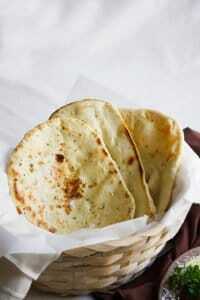 In this recipe, I used Indian Atta, the flour used to make Indian Roti. The bread came out soft and light. 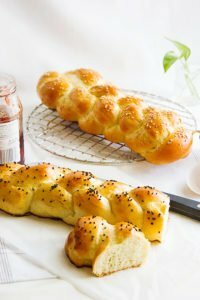 You can use any whole wheat flour for this recipe. 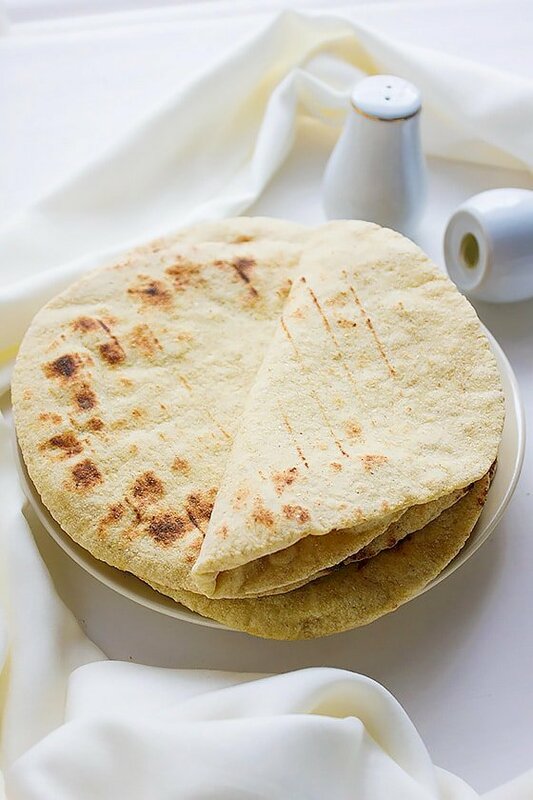 To heat this whole wheat pita bread all you have to do is place it in the microwave for 10 seconds and it will taste and look fresh. Dissolve yeast and sugar in ¼ cup warm water, cover and keep aside for 10 minutes. Cover the dough for one hour and a half or until it doubles in size. 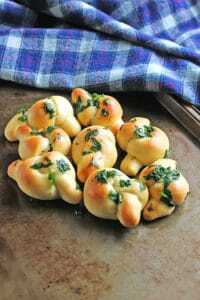 Make six balls out of the dough. Every time you roll a ball, sprinkle flour on top of it and cover with paper towel. 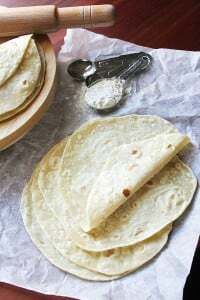 Sprinkle flour on that paper towel and place a new rolled ball on top of it, go on doing so until you have all rolled balls on top of each other with the kitchen paper separating each. Cover with a cloth and let it rest for 15 – 20 minutes. Place your non-stick flat pan on medium heat. Place the rolled ball on the pan. Flip the bread in about 9 seconds. Cook the bottom side until you see light brown patches, flip the bread again and now increase the heat to high. 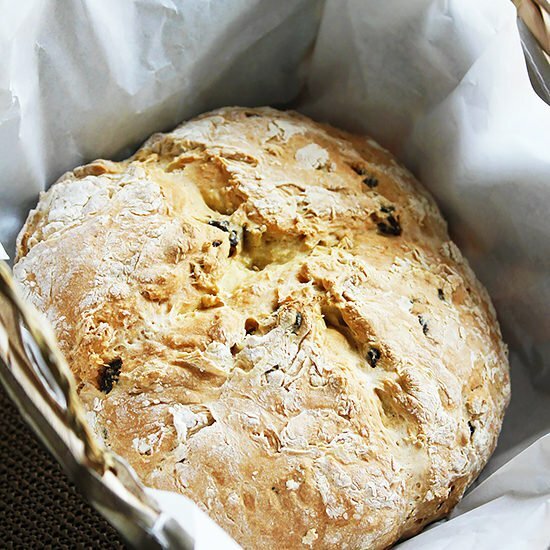 Gently press the edges using a spatula, this will help the bread to puff up. 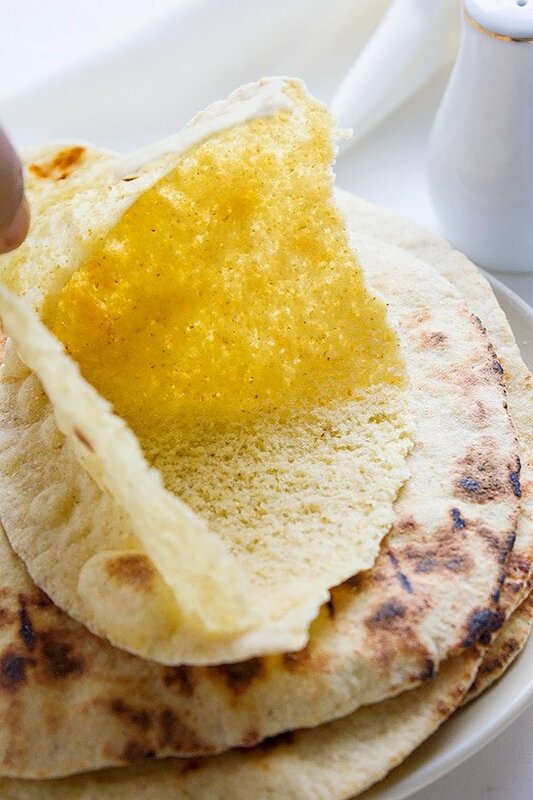 When the bread is completely puffed, your pita bread is ready. Cover the bread to keep it soft. Yes, please! Those look so good, and delicious. I will have to try them soon.